Whitton Apple Fest is our first annual ‘Apple Fest’ and it’s already proving to be a great inspiration to local artisans and crafts people. In this slide you can see the fine ‘work in progress’ of local residents Adrian & Joanne Davey. 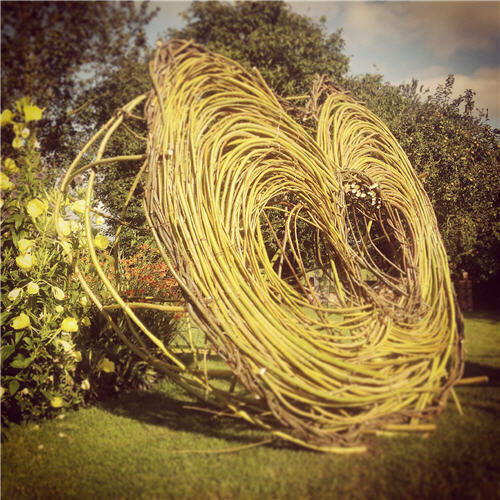 Spanning over 6 feet wide and made from locally grown willow and hazel – this giant half apple is set to become the event mascot and can be seen on the day outside of the village hall. This is just a taste of what the creative local talent has in store. 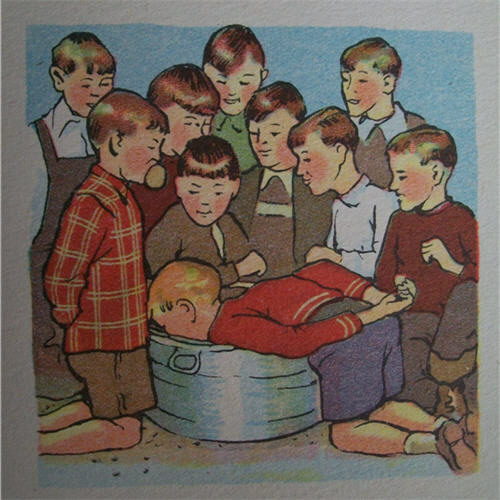 Traditionally everyone thinks of Apple Bobbing or ‘Dunking’ when it comes to ‘Apple games’. For those who don’t want to get wet, there’s lots more to enjoy in our outdoor ‘Apple games’ arena. Apple boat races, Lucky dips, Water pistol target practice and other games of chance and skill will keep all ages occupied and build up an appetite for all the fabulous foods and drinks available in the main hall. For an afternoon of ‘Apple games’ fun, make sure you put 18th October in your diary. No Apple Fest would be complete without some liquid refreshments. Our local ‘Ciderists’ and keen home-brewers are on hand to talk and demonstrate how they turn the humble apple into thirst quenching cider over the winter months. Sample their wares learn some great tips and see the different equipment used to simply press and ferment apple juice into cider. 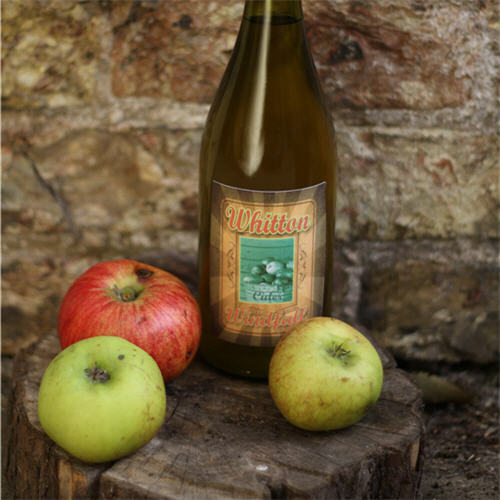 If cider isn’t your poison, you can still enjoy local apple juice freshly pressed on the Fresh Apple Juice Stall. Bring your own apples if you’d like to try your own produce. Maybe we can add a splash of fresh ginger to spice it up! If you search the internet for ‘Apple recipes’ you’ll find hundreds of different and unusual ideas to use up all your autumn windfalls. From Apple chutney to Apple Tarte Tatin, the list is endless. The great news is, there’ll be lots of locally made Apple related foods on sale for you to enjoy. Right now, pickles are being soaked and Crab apples harvested to guarantee a bountiful harvest and a grand display on the day. By the time you’ve been round all the stalls, watched the Morris dancers and tempted lady luck on the raffle, you’ll be definitely be ready for a refreshing cup of tea and cake. That’s why we’ve set aside an area so you can sit down and enjoy a home made scone and cream or one of the many cakes kindly donated by the residents of Whitton. Don’t worry, not everything will be made with apples, we’ve made sure there’s something for everyone’s taste. Handmade by Helen, a Whitton based Textile crafter and Seamstress. Working with all fabrics to make useful practical pieces. 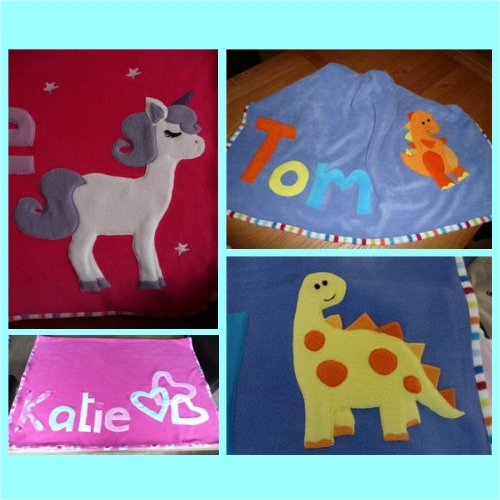 Specialising with Personalised Polar Fleece Blankets. Also sewing Aprons, Shopping bags, Peg bags, and much more. Commissions and Bespoke requests welcomed. Alan Taylor will be joining the Apple Fest to display and sell his many and varied wood turning pieces. Even on close inspection it is almost impossible to discern which apples and pears are real and which are turned from wood. 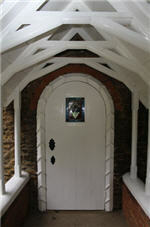 Alan will be on hand to chat about wood turning and give some solid advice to anyone interested in this ancient craft. From giant toadstools to intricate and detailed pieces, Alan’s work makes great Christmas gifts. 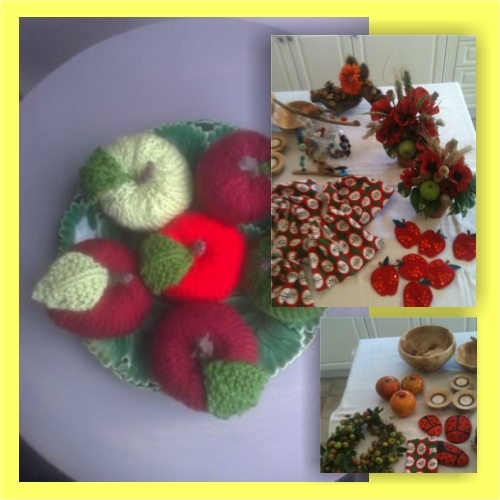 Here’s just a small sample of items from our amazingly creative local ‘crafters’. As you can see, the apple theme has certainly captured their imaginations. Knitted apples, apple wood bowls and tea lights, apple badges and lots more ideal gift ideas are being carefully fashioned behind closed doors – ready to adorn the Bring & Buy Craft Stall on Sunday 18th October. If you have any hidden craft skills and would like to donate to the stall, please get in touch. That’s right, the local ‘Ciderists’ and home brew enthusiasts are all busy fermenting their potent concoctions. Whitton Windfall, Cosmic Perry, Blacksmith Stout and various Ales will be among the beverages available for you to sample throughout the day. With advice on hand and Apple Press demos to tempt you into turning your windfalls into something worth sharing for next year’s event. Apple Boat Race – Complete with sails. Blow through a straw and see who’s the fastest in this 2 Boat Race! And lots lots more to keep children and adults entertained. 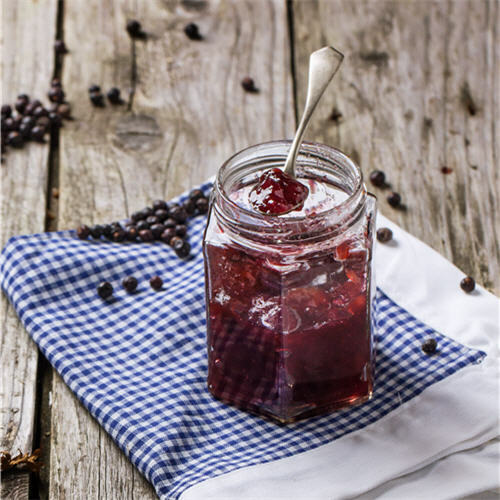 Do you like home made jams, chutneys, pickles, cakes or anything else using local produce? This is a great opportunity to buy other people’s ‘specialties’ and help raise funds for Whitton Village Hall. Apple themed or not – all produce donations welcomed. Get in touch via the email form on the right-hand side of this page if you’d like to contribute. Thank you. Are you up for Whitton’s very own ‘Person Versus FOOD Challenge’? Be crowned the pie eating champion for 2015 and win a coveted ‘Bib’ for your glutenous efforts. This will take place on the evening – so don’t go pigging out on the cake stand beforehand. It’s going to be messy! With Christmas approaching you’re bound to find some cool gifts on one of our many craft stalls. 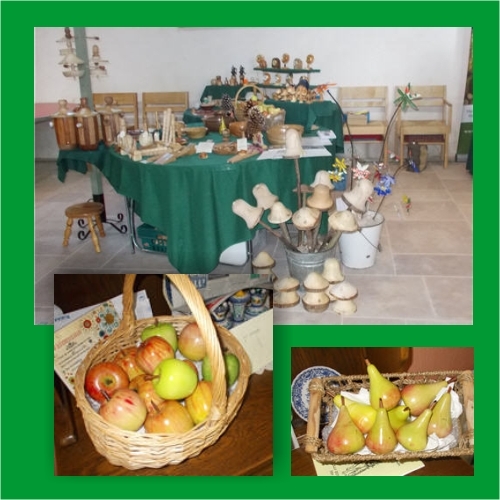 Turned apples, Apple wood creations and embroidery and a host of other crafty wares to tempt you – all made by local artisans and guaranteed to be high quality and original. Enjoy the crisp refreshing taste of freshly ‘juiced’ local apples by visiting our ‘Apple Juicing’ stall. Don’t forget to wrap some of this year’s apples in newspaper and keep them cool and dry and bring them along to the Apple Fest and watch them turned into liquid gold, right in front of your eyes. Here’s your chance to test your luck and win something fabulous. Rumour has it that there’s going to be an amazing centrepiece and lots of great raffle prizes to tempt you to buy a strip and have a lucky dip. All donations for the Apple Fest raffle will be gratefully received. Every Festival needs good old fashioned Tea and cakes, sit down and relax after a busy afternoon wandering around the stalls and demonstrations. 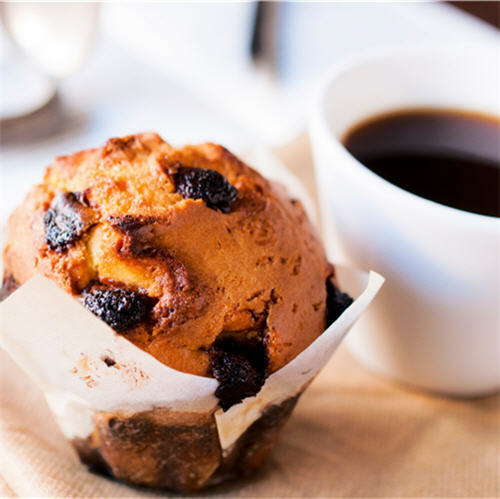 Cake, scones and bun donations are most welcome – all proceeds going to Village Hall Funds. Please help us promote the Apple Fest by printing off and displaying our A4 Poster. Click Here to view online and print. Thank you. 1-00pm to 1-15pm: Helen Rowson, Mayor of North Lincolnshire Council officially opens the Village Hall and Apple Fest 2015. 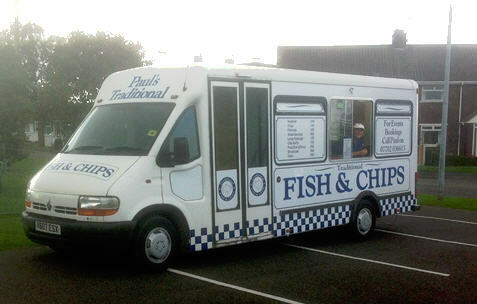 5-00pm to 8-00pm: Fish & chips from Paul’s Traditional Fish & Chips or South Ferriby. By popular demand – from 5pm – 8pm. Paul’s Traditional Fish & Chip catering unit – of South Ferriby will be serving outside Whitton Village Hall. Fish, Chips & Peas for under a fiver – with a children’s option too. 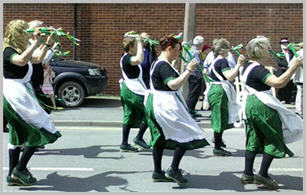 No traditional ‘harvest’ celebration would be complete without Morris dancing. The Tatterfoals are named after a ghostly horse which haunts the byways of North Lincolnshire! This fascinating traditional display is guaranteed to turn heads and entertain. To donate something to our 'Bring & Buy' Produce or Craft Stall, Refreshments area or Raffle - send us an email here or call 07704 310764 Thank you. Special thanks to the event sponsors: Floor and Wall Ltd for their prize donations and Click Web Marketing Ltd for donating their design and online marketing services. Thanks also to Pipers Crisps and Scunthorpe Timber & Joinery Ltd for their kind support.